I don't have a success story as of yet but i have had 7 years of pain and feel like a freak. I just found this site and it is finally great to find that i am not the only one, that I'm not alone. My story started when i was 14. I have very bad tummy pain that would keep me crying all day. The doctor at first thought i was just trying to get out of school but i soon learnt that i had 3 cysts on my left ovary. I had my first laparoscopy at the age of 15. I have since at 6 of those and 1 ultrasound guided cyst aspiration. I have lost most of my left ovary and still to this day have 2 more cysts on my right ovary that cause me a great deal of pain every time i have a period. But due to the government hospital rules here i can't have surgery until one of my cysts or 7cm. but combined there are 10. But that is not enough for surgery (you have to love the Health system). I'm taking strong pain reliever just to get through a period. But i find that my partner and many friends get sick of hearing about that pain. It is hard for others to understand. I have many side effects. 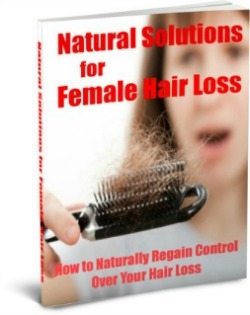 The hair that never stops growing everywhere, the weight gain now tipping the scales at 100kg, the pain that never stops, the depression, and the fertility problem that come along with it, also not being able to hold down a job because of the pain. I have tried everything to manage this condition but nothing has yet worked. but i keep trying cause i want to be a normal 22 year old that can go out and have fun!!! and not be ashamed of my body and not have to shave everyday. I get to the point sometimes that its all just to much and just want to give up. I don't want a lifetime of pain. but i wait in hope that one day my life will be normal and maybe my dream of having a child of my own and being a mum will come true even tho the chances are only 5%. Thank you all reading your stories have shown me I'm not alone and that there may be hope. Ed. Notes. Yes, it's very helpful to know you're not alone. But let me be blunt. You are NOT a victim. You are NOT a freak. You are a beautiful human being who has some health issues. You also have a much greater degree of control over your health that you may realize at your early age. If you keep doing what you've been doing, you will get more of what you've been getting. So it's time for a change in your behavior. You can't dream or hope that your troubles will go away. YOU will have to make them go away. You already know the "Health System" is not going to save you, as you have already discovered. You will have to save yourself. Get a grip on things and start learning more about what PCOS is and what you can do about it. This will not be easy. But what alternative do you have? If you take definite immediate action to improve your situation, your self esteem will improve. 1) Start exercising every single day. 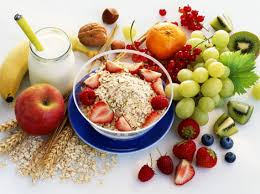 2) Get rid of refined carbohydrates and "convenience foods" from your diet. 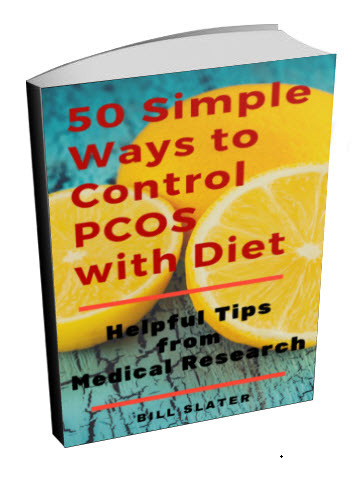 If you don't know what that means, get our pcos diet book. Part of the reason you have painful cysts is because of hormonal imbalances that were created by a poor diet. 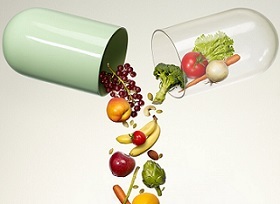 Improve your diet and maybe the cysts will not be so troublesome in the future. 3) Find other people who will support you. 5) Start reading some books that you find inspirational. 6) Read every single page on this website, even if it takes all day and even if you don't understand it all. 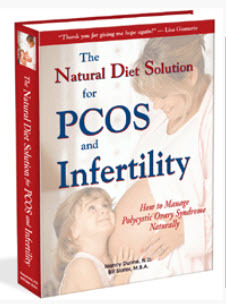 There's a ton of valuable and useful information about PCOS throughout the site. 7) Start taking cod liver oil. That may help you in several indirect ways. Let me repeat: You have a huge degree of control over your health. Adopt healthful behaviors and you will be surprised at how much better you will feel in six months. Depresson & PCOS Related to Brain Dysfunction? I completely agree that depression is not a lack of willpower, and that it can be truly debilitating. The issue remains of what to do about it. It seems to me the first thing to do is try to understand what it is. I don't pretend to know much about depression. I can can only say that it appears to be a multi-faceted disorder of the limbic/hypothalmic-pituitary-adrenocortical system in the brain. Call it HPA for short. The HPA system is influenced by factors that either stimulate it or imhibit it, i.e., make it "hyper" or "hypo". I imagine there are 20-30 factors that influence the HPA. I'll just mention one of them here. It is chronic stress, which increases cortisol levels. Increased cortisol levels have an utterly profound effect on the HPA. It's interesting to note that both depression and PCOS involve a disordered HPA. And in both cases, chronically increased cortisol plays a pivotal role. When you look at cortisol, there are dozens of factors that can elevate it. What we have is a very complex feedback loop system where every endogenous and exogenous factor and every hormone or other signalling molecule and every organ and system in the body has an influence. Getting back to cortisol. Reducing stressors should reduce cortisol output. We're talking about a lot more than a job you don't like or that your partner is cheating on you. We also talking about stress from electromagnetic radiation, chemical pollution, chronic gut infection, allergies, lack of sleep, chronic inflammation, you name it. It's not too hard to imagine that if chronic stress can be reduced and thus cortisol production reduced, that the HPA system would move closer to an optimal state and thus the depression and other PCOS symptoms would be alleviated to some extent. So many women with PCOS suffer from depression and anxiety. You are not alone. I think it's partly due to hormonal imbalances and just dealing with the symptoms that go with having PCOS. It's true that you have to take some responsibilty for your health by starting to eat right and exercise, but sometimes this is not enough for some. Genetics can come into play too. 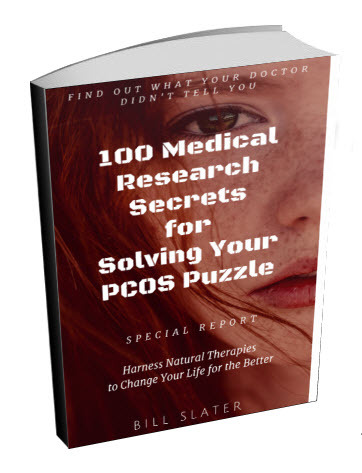 There are some botanicals and nutrients that can be helpful as well in reversing PCOS. www.pcosupport.org and pcos.insulitelabs.com can help too. Thank you for your reply. Let me first address your comment on PCOS being a modern disease. Firstly, it is one of the most under-diagnosed diseases in the 21st century. Many doctors are utterly convinced of their own superiority and assume women lie about their diet and exercise. I only discovered my own PCOS after endless internet searchings. I went to a endocrinologist who recommended WLS surgery. When I challenged him on this (dangers, possibility of success etc. ), he washed his hands of me. Many modern doctors treat women this way, in my experience. Check out http://fathealth.wordpress.com/ for more accounts of fat women's experience of the medical profession. The "I know best" is rife and is an insult to our intelligence. To be clear, I am not attacking you, I am merely saying that many doctors do not listen or believe their female patients. I am, therefore, a little skeptical of your assertion that it is in fact a modern disease. However you are the expert. I only have the disease. 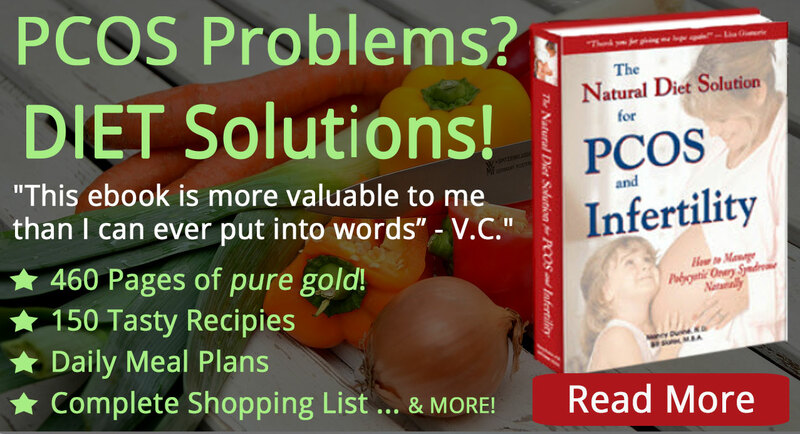 I follow your book as closely as I can within what is available and what I can afford and it is helpful. Thank you. "His unhappy, depressed condition is all that he knows. So, I feel quite sad for him. I feel sad for anyone who is emotionally or intellectually or physically "stuck" in their life"
Thanks to SD for her excellent observations. I was much too harsh and I sincerely apologize. I made the comments too quickly, without thinking it all through and speaking in a softer tone. Even worse, I'm a male! ;-) Maybe that explains my apparent lack of empathy. I haven't had depression myself, so I can't fully know something I haven't experienced. However, I've observed many who are depressed and had a relative who committed suicide from depression. I understand that depression can be a disabling condition. I guess the question in my mind is: if a person is depressed, what if anything, can that person do to relieve it? Or should the person just accept the status quo for the rest of her life? One of my best friends is depressed. We have had literally hundreds of intimate talks over the past ten years. He says he wants to change but he doesn't. His behavior and relationship and health problems are exactly the same today as they were ten years ago. His "story", which is mostjly complaints about people and things in his environment, is the same as it was ten years ago and has been repeated to me hundreds of times. I don't blame him. I don't criticize him. But I do offer suggestions and encouragement. And, yes, I have confronted him on occasions and been a bit harsh. He appreciates my honesty even though it's uncomfortable. Yet he remains unchanged. His unhappy, depressed condition is all that he knows. So, I feel quite sad for him. I feel sad for anyone who is emotionally or intellectually or physically "stuck" in their life. When I give suggestions to Kylie, I was trying to give her some ladder rungs to cling onto and get a grip so she can start climbing the ladder to better health. As her PCOS diminishes through better health practices, her depression should also lift. I could have said nothing. But I took a risk and tried to be helpful. I failed to be as gentle as I could have been. As for the difficulty of the diet in the PCOS diet book, I agree with your criticism. The foods and diet we suggest are expensive and difficult to find in some areas. The reason we had so much difficulty is that most foods are contaminated and adulterated, so we did not recommend them. Or they are so heavily processed that they are unsuitable for building health. Please bear in mind that PCOS is a "modern day disease". You might ask yourself why is PCOS such an epidemic today? It was almost unheard of until early in the 20th century. 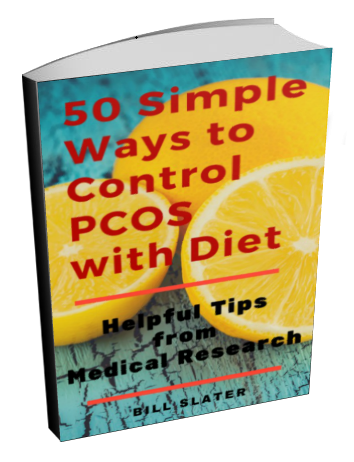 There's no question that our modern-day diet is one big reason there is so much PCOS today. I agree with the health advice - I have PCOS myself but your attitude was harsh, Editor. The woman who wrote says that she suffers from depression and you just told her to please stfu and stop whining. Do you know what depression is? How could you be so cruel? I have your book. I follow your book sometimes. Why not religiously you might ask? Well I am living in a country where it is nigh on impossible to get some of the staples. Also it's expensive. You can berate people for not following your diet but the simple fact is that it is not always possible through location or lack of means.